Shooting is a fascinating and absorbing hobby and one that’s enjoyed by millions of people of all ages and both sexes all over the world. It’s also one of the safest sports – provided you learn and follow safe handling procedures. The design and performance of guns is a fascinating topic and one that richly repays study in its own right. 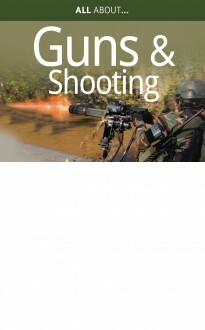 The author, an experienced shot with rifle and shotgun, reviews the many types of guns in use, with particular focus on shooting for sport, and explains the rewards and benefits of taking up the hobby. A great introduction to shooting for those who think they would like to try it but are not sure where to start.